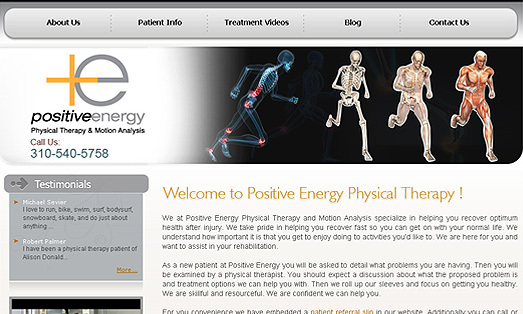 We at Positive Energy Physical Therapy and Motion Analysis specialize in helping you recover optimum health after injury. We take pride in helping you recover fast so you can get on with your normal life. We understand how important it is that you get to enjoy doing to activities you’d like to. We are here for you and want to assist in your rehabilitation.